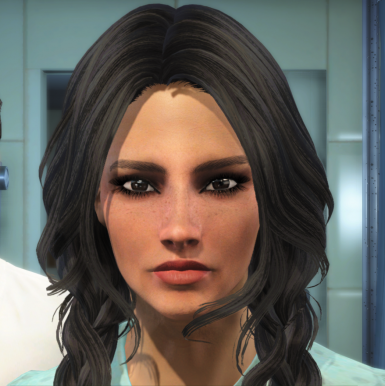 IMO- I think this mod would better serve the public if the vanilla Alice preset replaced one of the existing vanilla presets, rather than relying upon other mods to make usage of this lovely face possible. To call it "vanilla" is a little misleading, in that regard. As far as I know, if your presets rely upon the usage of a .json file, then any version requires an additional mod that adds its own preset folder from which the user can select the face provided, rather than simply typing slm player 1 and accessing the vanilla customization menu. The reason it relies on LooksMenu is because I am clueless on how to make it a replacer and not just stand alone! 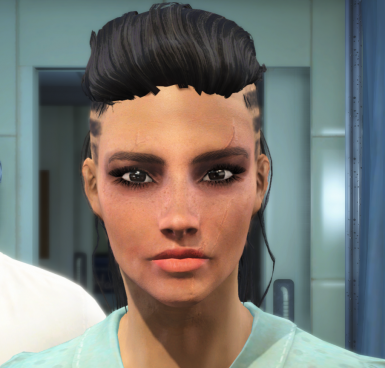 I chose the preset for my character but i can't get the eyebrows right, which eyebrows are those? 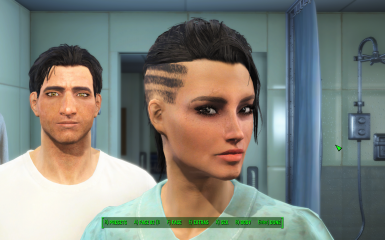 Are they from the haircuts mod? Thank you for this preset! 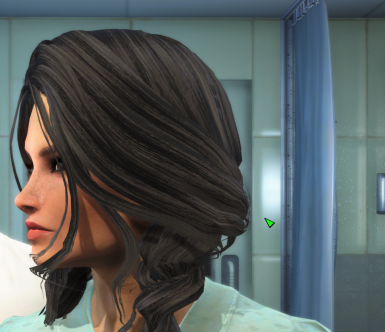 It is the best one out there in my opinion, I am using the modded version of Alice and she looks phenomenal! I'm surprised more people haven't endorsed/downloaded this. Sorry for the late reply - thank you so much! Hey, I just want to ask that can you port this to consoles? I would really appreciate it. If not, then I would understand, but it would be cool if one day you could port this to consoles. The preset looks really good, by the way. I'd love to but unfortunately Looksmenu (which is how you access Presets) requires F4SE to work, and F4SE isn't compatible with consoles. There may be a way to create a save game for people to use with this preset already chosen - but I have no idea how to do that or how to make it available for console. If anyone does know how, please let me know as I'd be happy to do it! Ah, I see. It was worth the ask. Do you think the Looksmenu and F4SE will ever be compatible with consoles in the near future? or will it be nearly impossible? Because I know PC's are much stronger than Consoles. I'm not the techiest person, even these presets are pretty much the easiest thing in the world to do! How do i use this? Only for new Character? 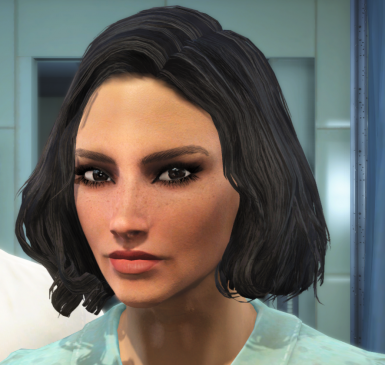 Ah, ok. Thanky you for this beautiful Mod. Her Face is absolutly amazing! Just another Question. How to install this File? Download the desired file using the manual download. *Note if the folders -Plugins/f4ee/presets- don't exist just create them yourself. 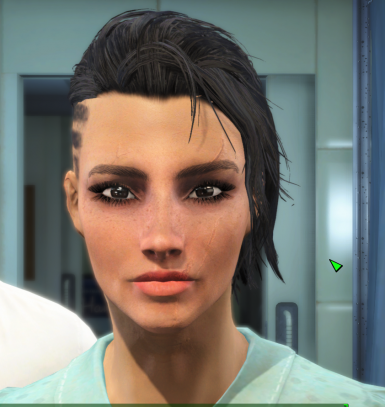 Once the game has loaded access Presets through character creation and your chosen preset will be listed. Thank you. I was just about to ask the same question. 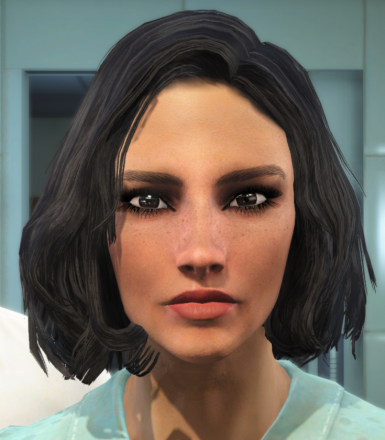 Tried it ingame looks rewly kewt.